With help from our Travers Automotive & RV Group, you too can finance the family-friendly Thor Motor Coach RV or used Hyundai vehicle that you deserve! Our collection of dealerships in the Eureka and Florissant, Missouri areas boast dedicated finance centers that can help you explore the competitive terms that are available to you, even if you're facing credit challenges! Ensure you can drive back to your O'Fallon or Hazelwood, MO home behind the wheel of one of our used cars for sale or intuitively designed RV models, complete our credit application online. 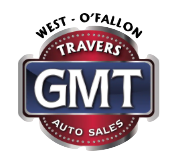 With over 1,000 vehicle options across our seven dealerships and five locations, there's a vehicle here at the Travers Automotive & RV Group that complements you. Finance one from your St. Louis home now!